Christian Counseling Center of Bartlett » Jermaine Shorter, M.S. Jermaine graduated from Freed-Hardeman University in 2017 with a Master’s Degree in Clinical and Mental Health Counseling. 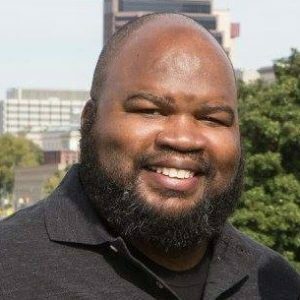 Jermaine works with adults, young adults, and adolescents seeking support for depression, anxiety, grief, sobriety, marriage and family issues, premarital counseling, and general life transitions. Jermaine is currently working to become a Licensed Professional Counselor – Mental Health Service Provider (LPC-MHSP) under the supervisor of Keith Fussell, LPC-MHSP. Jermaine aims to create an environment that helps people feel comfortable working through issues, without fear of judgement or bias. Jermaine uses a productive client-centered approach with cognitive behavioral interventions that are balanced, earnest, and comprehensive.